The 3 best ways to experience Franz Josef Glacier! Amazing sights, scenic flights and hikes on ice are just a few reasons to visit the Franz Josef glacier on New Zealand’s wild West Coast. The glacier is a 12-kilometre-long body of glistening ice descending through the Southern Alps. A great range of options are available to explore this natural wonder, which many visitors consider the absolute highlight of their trip to New Zealand. It’s time to choose your adventure! 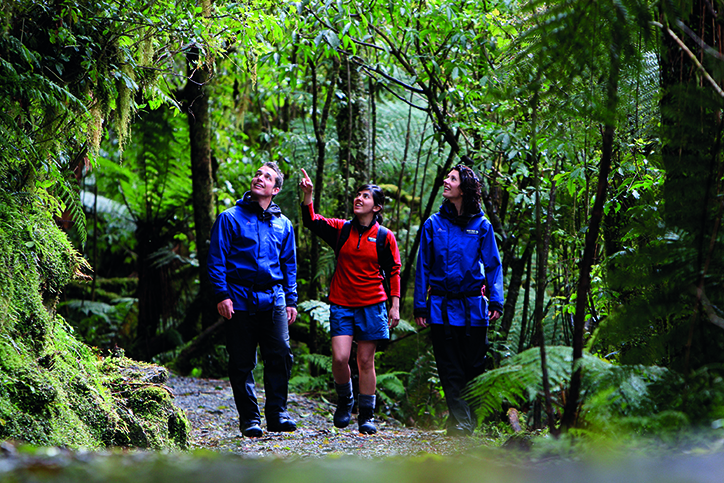 Hit the trail on a 3-hour guided walk where you’ll explore the lush rainforests that surround the glacier. An easy walk suitable for everyone aged 6 and up, you’ll be rewarded with incredible panoramic views and in-depth knowledge from your guide. The landscape here is stunning, with rainforests, waterfalls and valleys – and plenty of places to pause for that perfect photo! A great way to view the glacier without the challenge of traversing the ice itself. Click the link to check out the Glacier Valley Walk tour in detail. A relaxed way for people of all ages to see the glacier and explore the lands where it once stood. This tour does not take you onto the ice itself. With a 20-minute duration, the quickest way to get yourself on the glacier is with a scenic flight, complete with a snow landing at the top. To say the views are breathtaking would be an understatement! We recommend booking the earliest date possible to provide flexibility, as bad weather can lead to cancelled flights. Strong shoes and warm clothing will ensure you’re comfortable on the snow, and of course don’t forget the camera! An eagle eye view of the mountains, plus a landing on the snowy top of the glacier. Want to have your cake and eat it too? 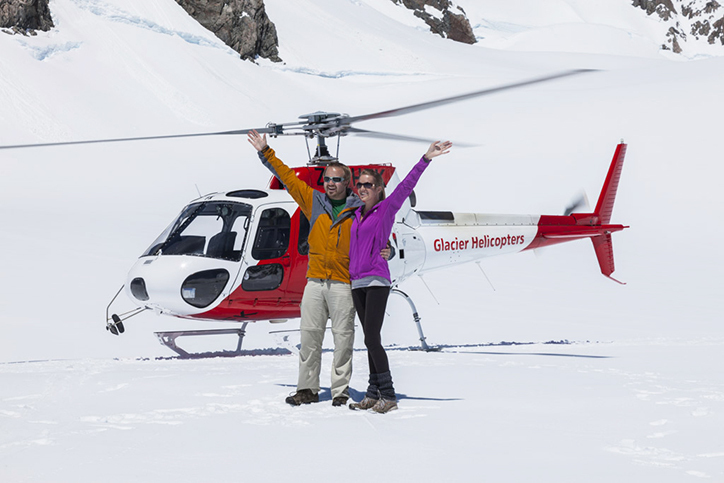 If you’re looking for the ultimate Franz Josef experience, the Heli Hike tour is for you. A short walk through native bush sets the tone for an amazing journey. You’ll make your way to the helipad, where you’ll take the chopper up into the mountains for the best view of the glacier, known in Te Reo Māori as Kā Roimata o Hine Hukatere. Your experienced pilot will then land high on the glacier where you’ll take a guided hike on the ice. As the glacier is constantly evolving and changing shape over time, no two trips are ever the same which adds to the magic! Click the link to get more information on the Franz Josef Heli Hike Tour. The best of both worlds: a guided walk, a flight AND a hike on the glacier itself. Epic! Franz Josef Hot Pools: hot pools, spa & massage. Walking tracks: Roberts Point track, Tatare Tunnels walk, Peters Pool walk. Westland Tai Poutini National Park Visitor Centre: the one stop shop for local knowledge and information. 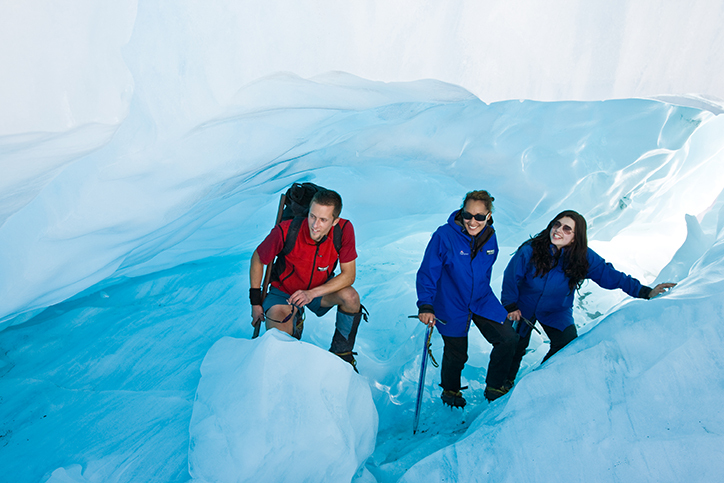 Are you ready to explore Franz Josef glacier?